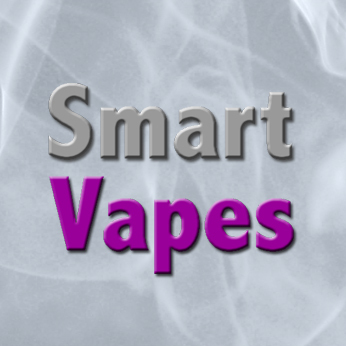 Welcome to the e-cigarette vendors page. In this page you will find a list of vendors featured throughout this site. Vendors are broken into categories which you can access via clicking the sections below. These merchants carry a wide range of e-cigarette products. Most general merchants carry basic starter kits, more advanced starter kits like the eGo family, e-liquid, batteries and accessories. Some general merchants also produce and carry specialized “mod” style e-cigarettes. SmartVapes is the vendor which first brought us the dripping atomizer. This company is now an official Innokin reseller as well as carrying a stock of interesting products. Hawaii-based Volcano eCigs has a great selection of devices from beginner kits to the exclusive Lavatube 2.0. Everything is available in a rainbow of colors. Fitting for a company from the Rainbow State. Happy eSmoker is another vendor that provides a good selection of e-cigarette gear. They also offer some unique stuff that I’ve only seen there, or they seem to have it first. Always friendly and featuring great customer service, they’re sure to make you a happy esmoker too. Mike and Carol’s (AKA MikeUSA) has a nice variety of e-cigarette gear as well as some other things, like scissors for some reason. All quirkiness aside, this place consistently has some of the best prices on eGo batteries around. If you’re an eGo fan, you should be shopping here. Henley is a new player that has some very sleek standard-style e-cigarettes. They also offer the full line-up of more advanced gear to meet your needs. Apollo offers an excellent array of traditional e-cigarette starter kits and disposables. They also have e-liquids and a few varieties of cartomizers for more diverse customers. In addition, Apollo carries the advanced V-Tube (including the copper and stainless versions) and Elips e-cigarettes. Panda ecigs focuses on what they like to call professional men and women. They have some nice starter kits featuring high-end clearomizers instead of traditional cartridges. Vapor4Life not only features some nice standard starter kits, but a wide range of advanced devices and e-liquids. All devices are compatible with the same cartomizers, a nice touch. Naturally, e-liquid sellers specialize in making and selling nicotine liquid for your electronic cigarette. Some merchants carry additional accessories and some e-cigarette kits. VapeDudes has a huge selection of e-liquid and some hardware. Use discount code vapedudes for 40% off your order (one time use coupon)! As an added bonus, flat-rate shipping and a rewards program! EC Blend offers a wide selection of e-liquids. If that’s not good enough, you can create your very own custom blend. Mix and match up to four different flavors and other options and then give your creation a name! is one of the premier e-cigarette e-liquid manufacturers. The company features many unique flavors and the highest quality US-made liquid. Halo has a devoted following of fans. Ecigwizard are a leading European vendor, supplying UK made e-liquid and electronic cigarettes. These vendors are based outside of the US (generally, in the UK) and ship throughout Europe, and other parts of the world. These vendors have either been featured in reviews of their own, or carry some of the items I’ve reviewed via US-based merchants. In addition to the merchants listed here, many of the US-based stores mentioned on the vendor page also ship internationally. ECig Wizard is a general e-cigarette supplier based in the UK. The company sells a variety of starter kits and supplies from the basic to exotic. ECig Wizard also features a great line of UK-made e-liquid. These vendors have proven reliable and trustworthy in my interactions. But, the vendors are third parties, so I cannot offer any gurantees nor assist in the unlikely event of any issues you may have with any certain vendor. Many of the links on this page are affiliate links, or links to supporting vendors. Purchasing products through these links help support this site. Thank you for visiting!